In February 2017, the India-based science journalist T.V. Padma joined HITS as the sixth “Journalist in Residence”, where she will remain for five months. T.V. Padma earned a B.Sc. in Botany (Honours) and an M.Sc. from the University of Delhi, where she undertook special courses on genetics and microbiology. She was awarded the National Science Scholarship for post-graduation studies and also has a post-graduate diploma in bioethics. Padma worked as a science correspondent at India’s leading news wire agency, Press Trust of India (PTI), covering space, nuclear energy, medicine, the environment, and crop research, and later worked on development communication projects at Panos Institute South Asia. 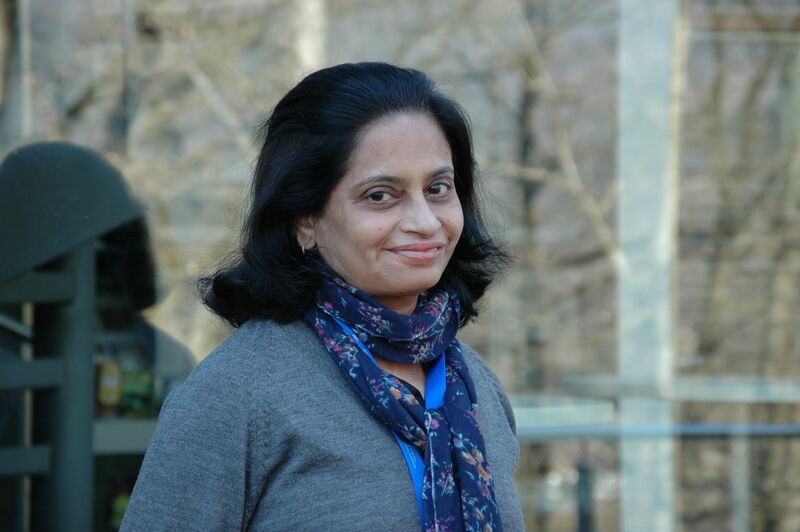 From 2004 to 2014, she served as the first South Asian news editor/regional head of SciDev.Net, a not-for-profit, free-access international science website that focuses on science policies and research in developing countries. In 2014, Padma turned to freelancing and has since written for Nature, Nature India, New Scientist, Physics World, BioWorld, and other outlets. Padma has contributed a chapter on the advent of online science journalism in India to the book “Bridging the Communication Gap in Science and Technology: Lessons from India” (Editors: Bagla, Pallava, Binoy, V. V.), published by Springer in 2017. She was formerly part of SciDev.Net’s team that won the 2005 Association of British Science Writers (ABSW) award for best online coverage of the 2004 great Asian tsunami. She also won the 1993 Food and Agriculture Organization (FAO) award for best reporting on health and nutrition issues while at PTI. T.V. Padma used her stay to complete a thorough grounding in almost all fields of work at HITS, including astrophysics, computational biology, and computational statistics research. During her stay, Padma gave a public talk about science journalism in India and which obstacles her home country still need to tackle. The video is available here.